Adafruit’s 3D Printing Badges Unboxed « Adafruit Industries – Makers, hackers, artists, designers and engineers! 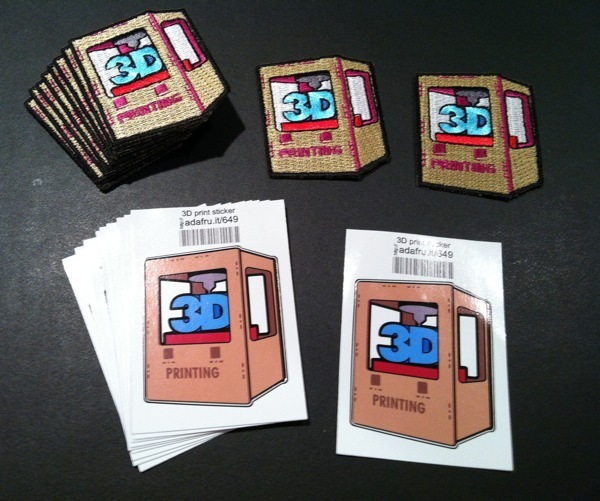 Adafruit’s 3D Printing Badges Unboxed @ Fabbaloo. Readers may recall electronics kit producer Adafruit now offers a variety of “scout badges” for technical accomplishments. One of the badges recognizes expertise in 3D printing. Limor and Phillip of Adafruit were kind enough to send us a batch of said badges for review and as you can see, they look very attractive (click image for a larger view). The 5x4cm embroidered patches are especially nice as there’s something about the design that almost looks 3D – beyond the word “3D”, we mean. The only thing left to decide is where to attach them.